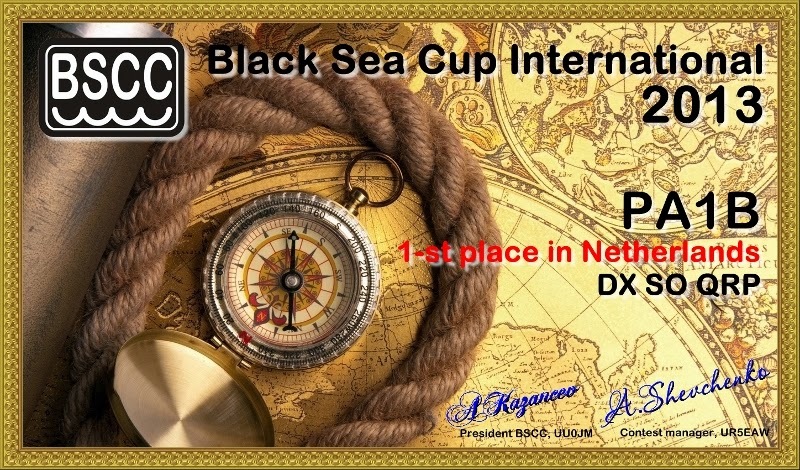 This contest is organized by the Black Sea Contest Club. Contests like the BSCI offer a great opportunity to work with the lowest possible power. When the S-meter goes up, my power goes down. In just two hours I made 25 QSO's with the lowest possible power in each QSO. were made with more than 1000 Miles per Watt. ---> Click to see the overview. It's great to take a station with you on holiday. But when I am on holiday, I am on holiday and not on a DX expedition. 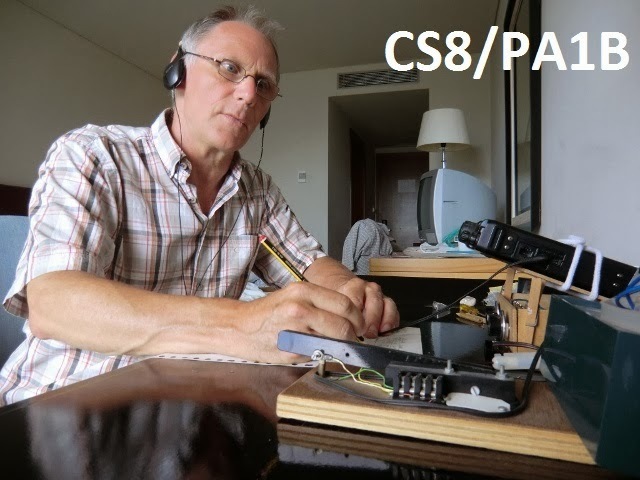 In general I make a few QSO's each day and a modest number of QSO's in a contest in the weekend. On holiday I made a total of 72 QSO. On the first day I made 11 QSO's. On other days I made a few QSO's each day. On the last days 47 QSO's were made in the YODX HF contest. 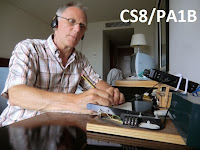 The first day of operation I made 6 QSO's in the RDA contest. The first day it is always exciting, because I am curious which countries and continents can be reached. After making some QSO in the RDA contest I made some QSO's outside of the contest. See table at the right. Most of the time I work with Search and Pounce. The signal of PT7FLA was very strong, so I used just 360 mW. I never hunt for other QRP stations, so when I gave CQ with 2.7 watts, I was amazed to meet another QRP station. Dave N5EEI reported that he worked with 5 watts into a dipole 10m up. I was lucky to use just 1.8 watts in most QSO's on the first days, since most of the QSO's resulted in a more than 1000 Miles per Watt QSO. The antenna was placed just before the RDA contest. I placed the antenna on the roof, together with João of the technical service to get access to the roof. The antenna wire with a lenght of of 20 meters, ran from the balcony up to the roof and then to a point a few meters above the roof. The antenna did a great job. After we booked our holiday to hotel Royal Garden in Porto Delgada on the island Saõ Miguel, I hesitated wheter I should take the portable station with me. But I am glad, that I did bring along my FT-817 on the 12V - 4Ah battery. In the months before the holiday, I figured out that the YODX HF contest fall into our holiday. This is a very fine contest in which everyone works everyone. I would have great fun in the YO DX contest. So I decided to take the FT-817 with me. But at that time I was not sure, whether it would be a success. 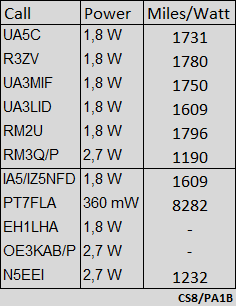 My FT-817 has a maximum power of 2.7 watts. On holiday I operate from a 12V-4Ah battery, so the power will be even lower. The extra weight of the heavy FT-817 and the battery. Further I did not know, whether I could put up an antenna. that all signals from the antenna could be blocked completely. The XYL does'nt want to be visible while helping lowering a wire from the balcony. lowering the wire, the wire got stuck and my wife refused to help any further. End of part one. wife said: "ask the reception". The lady of the reception (Graça) was very supportive. I showed her the licence with the authorization to use a portable station from a hotel. She first contacted the manager and then the men of the technical service to get the access to the roof. So later that day, the 20 meter wire was "flying above the roof". WOW. Thanks to Joaõ, for us putting the antenna up together and to Miguel to remove the antenna. I don't like antennas with a difficult earth system. So on holiday I use a end fed antenna which is fed like a Zepp via a 300 oms ribbon. The 300 ohm ribbon from the room to the wire has a lenght of 4.8 meters. a lower impedance at the transmatch, which is connected to the transmitter. Starting on the 17th of August until the 25th of August a total of 72 QSO's was made. So the antenna was working very well.